Recently few media sections reported that Rajamouli is doing the 100th film of Balakrishna on a high scale budget. 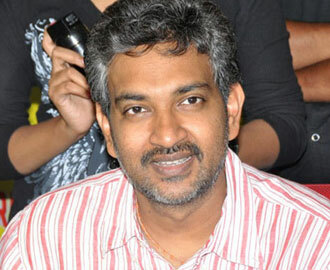 But Rajamouli quickly denied the news and said that he has no such plans. He clarified it on his twitter page 'News about me doing balakrishna garu's 100th film is false..'. We all know how sensational this duo was. Rajamouli's films played big role in making NTR a very big star. They did three films till date and all the three were huge hits. Nandamuri Fans expecting a movie in the combination of Balayya and Rajamouli since long back. Nandamuri fans have been eagerly waiting for Rajamouli's film,but the situations are not supporting as per the fans wish.